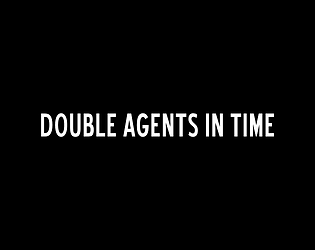 By having...Double agents who can go back in time. The enemy AI, it's a bit wonky but I still liked making it. This game is one of my roughest game jam entries to this point. There was some coordination problems and thus art assets were completely left out, debug functions can still be seen, etc. But it's one of my favorite games I've made gameplay wise! I would probably shelf something like this nowadays but I still think it's an okay game! 5 out of 5. Loved the gameplay. Kept me playing for half an hour. Well balanced all the levels. The sound, the mechanics --> cool. Well done! Thanks! That means a lot to me. Glad you enjoyed it!